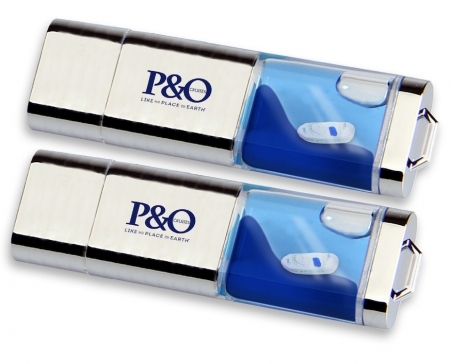 P&amp;amp;O Liquid USB Drive Copyright to Seamless under trade mark Seamless Merchandising Matters Pty Ltd is a international Trade Mark Company (TM) 1419301 and all Seamless products are copyright under such brand. All products whether utilising client/s brand/s or guidelines, have been specifically concept for use &amp;amp;amp;amp;amp; designed for the purpose of Seamless Merchandising Matters Pty Ltd to reproduce/manufacturer, now and in the future, promotional merchandise and merchandise for promotional and for resell, the copyright of these products remain with Seamless Merchandising Matters Pty Ltd. Any use of these products and or designs for any purpose of marketing, reproduction, manufacturing, self exploitation or use without authorisation of a Seamless purchase order or authorisation from a approved board member will be prosecuted to the full extent of the law/s. Think twice before reproducing our products.